Here We Have Some Ways for you To Change Your IB, Use following guides to change your IB Group To Our IB Group. Pepperstone Financial If already you have a trading account with Pepperstone, please send email to the support@pepperstone.com and ask them to place your account under Pipsafe Group. Weltrade Existing live account with weltrade is not allowed to move from IB to IB. To receive rebate from Pipsafe,Client need to open a new account with our referral link. X Global X Global trading company Can not Move client existing trading account under a new IB, Client need to open new accounts, and send an email to backoffice@xglobalmarkets.com and request To move the new accounts under a Pipsafe (IB Code IM20138)X GLOBAL Forex Broker. DIRECT FX TRADING PTY LTD If the account hasn’t been traded before, you’ll need to send an email requesting the IB change to newaccounts@directfx.com. If the account has been traded, we’ll have to look at the history of account and decide based on trading activities. Note: all correspondences regarding this matter should be sent from the client’s email. Hello, My name is …… my account Number is # ……. please Put my account under Pipsafe IB Group. Valutrades Forex Broker If already you have a trading account with ValuTrades ,Please open a new account with new email through Our referral link. Exness Forex Broker To change existing IB account with Exness,You should register a new account with Exness using our IB link. LiteForex In the Liteforex Broker, transfer IB account form one referral group to another one is not acceptable. please Open new account via Pipesafe referral Link. If they account have been linked to another IB then they will need to open a new account using the new IB link with a new email. After that they can transfer funds between accounts. 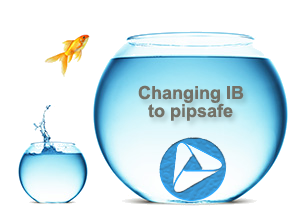 NordFX Existing trading account without being under other IB could join Pipesafe IB group. vice versa, the only way for joining existing IB account is open new account using pipsafe referral link. Fxopen It is not possible to exchange IB account in Fxopen. client need to open a new account using the referral link (agent ID 838832) to start get a rebate. Mtrading Forex Broker Scam! To replace your IB account in the Mtrading Forex broker from other IB to the Pipsafe, you need Open new account with new email at pipsafe link. IFC Mrkets In order to receive a greatest rebate from Pipsafe group you need open an account via Pipsafe link with new email. FXCC You need to send your request to backoffice@fxcc.com from their FXCC registered email address. Once FXCC receive the client’s request we will provide further information based by case basis. HY Markets Client need to register in Pipsafe affiliate link to receive a rebate. Existing account is not changeable. Orbex If client already has trades her or his account with or without linking to IB then Orbex cannot replace the IB. For this matter client need to open a new Sub Account and Orbex will set that account under Pipsafe IB. If there were no trades with the client’s account then Orbex will amend the account to be under Pipsafe. Also client need to send an email to backoffice@orbex.com to confirm about this. Gallant Broker (gcmfx.com) To substitute the IB account into the Pipesafe IB Group 207370 client need to send an email to the support@gcmfx.com and have a request to change IB account. Note: You must provide your request from the same email created the trading account. IamFX Broker To avoid confusion recommended close you existing account and open new account under pipsafe referral link to start collect rebate. Fxpro To start getting rebates you need to open a new trading account. For that you need to go to your FxPro client area (FxPro Direct) and click Open Trading Account in the “My Accounts” section. Once you get confirmation from FxPro that the account group is changed, you can make an internal transfer of funds from your old account into th new one using FxPro Vault. Afterwards, please go to your Pipsafe Cabinet and Add Fxpro account. If you don’t have a trading account with FxPro, please use the following link. AMarkets Sometimes AMarkets has accept to change client account from IB to IB depends on type of the account. But if not to do so You need open new account via our referral link and add it to pipsafe cabinet. Windsor Brokers Ltd. According to the regulation of Windsor Brokers Ltd , If you previously registered with another IB/Affiliate, to become our client you need to create a new account under Pipsafe group via our referral link. AdmiralMarkets.com Scam! We regret that, to inform you change IB account for an existing client of admiral-markets is impossible. Please open new account with new email using Pipsafe referral link. Markets Markets pays completely for new accounts if you are client of markets.com you can not use our services. ETX To transfer your ETX Capital existing account under pipsafe, all you need to do is send an email to customer.service@etxcapital.com and request your account to be moved under Pipsafe. eToro eToro pays completely for new accounts if you are client of etoro.com you can not use our services. JustForex If your accounts is not yet linked to any other IB, please send the email to affiliates@justforex.com to request them to be put under PipSafe IB 20699. Hello! My name is…. my account is…..please put my account under IB 20699. If your account is already registered under another IB, it is prohibited to move clients between the IB. In this case you need to open a new Back Office with another email. Inform the company upon doing this and the old Back Office will be blocked. OctaFX OctaFX pays completely for new Clients,if you are client of octafx.com you can not use our services. FCM If your account is not yet under our IB please send an email to backoffice@fcmforex.com with your Name and account number asking to be under IB 7048. FBS If already you have a trading account with FBS, please send an email (Your name, Trading account number, Keyword or telephone password) to the support@fbs.com and ask them to place your account under PipSafe Group (Partner ID: 455464). Please move my account under PipSafe IB Group 455464. HiwayFx To transfer your HiwayFx existing account under PipSafe Group ,please send email to support@hiwayfx.com requesting to put your account under PipSafe Partner ID : 18371 . GO Markets If you already have existing account with Go Markets Broker,You need to open a new account through PipSafe referral link. Adamant Finance If your accounts is not yet linked to any other IB, please send the email to suppoprt@adamantfinance.com to request them to be put under PipSafe IB 10340. Note: You need to send your request to suppoprt@adamantfinance.com from the Adamant Finance registered email address. Hello! My name is…. my account is…..please put my account under IB 10340. If your account is already registered under another IB, it is prohibited to move clients between the IB. In this case you need to open a new Back Office with another email. Tradeo If already you have a trading account with Tradeo Broker ,Please open a new account with new Email through Our referral link. Tickmill To transfer your existing account under PipSafe Group,please send an email to support@tickmill.com & ask them to put your account under IB41304635. Blackwell Global (UK) If you are already a trading client of Blackwell Global Investments (UK) Limited and wish your account to be placed under PipSafe Group please email us at applications@blackwellglobal.com . Please Move my trading account number…………….under the IB program PipSafe 1006989. Note: Trader must provide your request from the same email created the trading account.